Payroll represents a significant expense for most Los Angeles and Southern California businesses. Given this, it’s somewhat surprising how few owners and executives look at compensation strategically. Instead, most business owners simply try to determine what the going salary or wage is in their area for a particular job function or title. Then, they base their compensation on this, either matching it or offering a little more or a little less, depending on their philosophy when it comes to employee compensation. A similar lack of strategic thinking also usually goes into the payment of employee bonuses. Typically, a company will structure a plan that pays employees bonuses based on some measurement of company performance. But if they don’t carefully think through exactly what they want to achieve with the bonus plan, companies will have wasted a tremendous opportunity to motivate employees to work toward the achievement of company goals. Why Create a Bonus Plan? The first thing you should do when structuring a bonus plan is decide why you’re creating the plan in the first place. To share the company’s profits with employees? To reward employees for company and/or individual success? To boost employee morale and retention? As a response to your competitors who are offering bonuses to their employees? The answers to these questions will help you determine the structure of your bonus plan. Ideally, your bonus plan will motivate employees to focus their efforts and energy on activities that will help achieve specific company goals. For example, assume that customer retention will be a key area of focus for your business in the upcoming year and you’ve set a client attrition goal of 10 percent or lower. You could structure your bonus plan so that employees would receive an additional 10 percent if attrition is between 5-10 percent and an additional 20 percent if attrition is lower than 5 percent. But if attrition is between 10-15 percent, 10 percent would be deducted from each employee’s bonus, and if it’s over 15 percent, bonuses would be deducted by 20 percent. This type of structure can be applied to whatever goal (or goals) you want employees to focus on — overall sales, sales within divisions or product lines, profitability, new customer acquisition, etc. Bonuses tied directly to profits are also referred to as profit-sharing plans, which provide you with maximum flexibility: If profits suffer during the year, the company payout is lower (if anything). Keep in mind, however, that this can have a negative effect on employee morale if employees believe that the work they did had little if any direct impact on profitability (or lack thereof). One way to avoid this problem is to structure your bonus plan around the achievement of specific individual goals by each employee. This gives employee more control over whether they will receive a bonus, and how much. Or, you can structure the plan around the achievement of specific goals by departments or teams, which employees may feel like they have more direct control over. 1. Put it in writing. Formalize the details of the bonus plan in writing and make sure they are clearly communicated to all employees so there is no confusion or misunderstanding about the plan. 2. Tie rewards to measurable performance standards. Financial rewards should be contingent upon the achievement of specific and measurable standards. Preferably, employees should be able to exert some degree of influence on these standards. 3. Incent employees to help meet annual company goals. As noted above, bonus plans can be structured to provide employees with financial incentives to help meet specific company goals, whether financial or otherwise. These are usually annual goals that are measured at the end of the year. 4. Make the financial reward large enough to be a strong incentive. A one-time $50 or $100 bonus isn’t going to be a very strong incentive for most employees. One benchmark is to give employees the opportunity to earn up to 10 percent of their regular wage or salary in additional bonus. 5. Use the plan to engender employee loyalty to your company. Sometimes referred to as “golden handcuffs,” this is the idea that the bonus plan will encourage employees (especially executives and key managers) to stay with your company for the long term. Non-qualified deferred compensation plans, stock options and phantom stock plans are specific types of executive bonus plans often used to accomplish this goal. One of the biggest benefits of bonus plans is that they can help encourage your employees to think and act like business owners, not just employees. Giving employees the opportunity to reap financial rewards based on their individual or team’s performance can help prompt them to work harder and make better decisions that are in the long-term interests of your company. 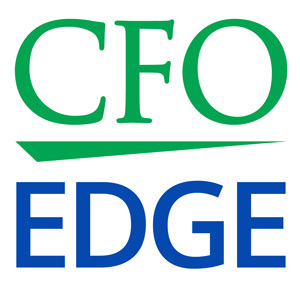 A CFO services professional – either as an interim CFO, as a part-time CFO or as a one-time project CFO – can help you structure a bonus and compensation plan that is aligned with your company’s objectives and provide the necessary incentive for your employees to act in your company’s best interests.